In a region where so many producers have been around for generations how do you begin fresh and stand out? 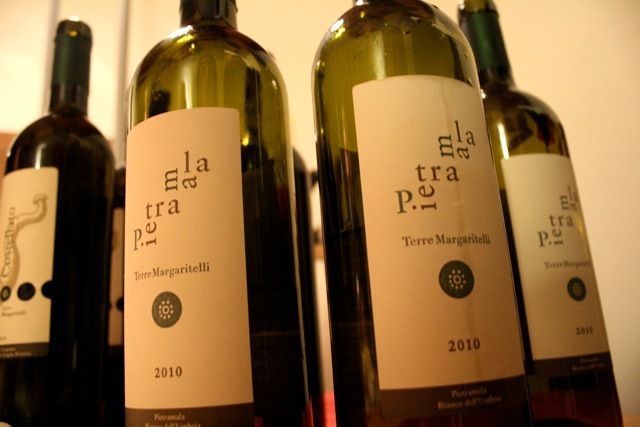 Intimidating for anyone to consider in any industry and something that Federico Bibi and Jennifer McIlvaine of Terre Margaritelli Winery are attempting. Located in Umbria between Perugia and Assisi in the wine region of Torgiano, this winery spans 52 hectares of vineyard and produces over 50,000 bottles of wine annually. Though I visited the winery during the evening when it was already dark I can imagine classic Umbrian hillsides with views if Assisi in the distance. We visited the winery on February 1st during the International Wine Tourism Conference and Workshop to find out what makes them different from their older neighbors. What they may lack in generations they make up for in creativity, passion for the business, and the wine in the glass. This philosophy is not only displayed in their vineyard practices but also their hospitality. 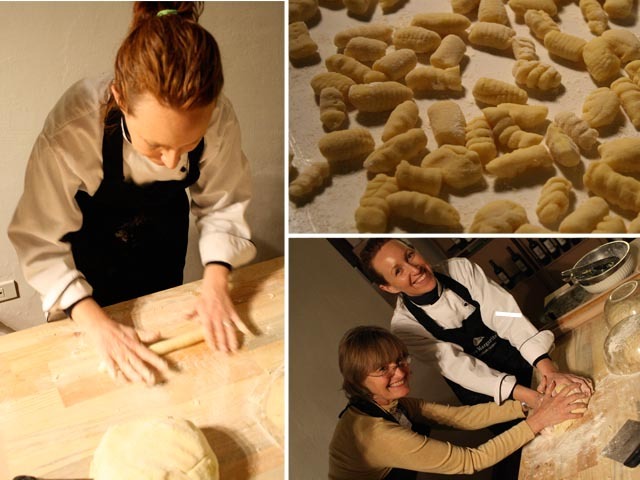 During our visit we were treated to hands-on cooking lessons making traditional gnocci; something many of us genuinely enjoyed and learned from. As we sat down to eat our creation we noticed biodegradable plates and utensils, a small but telling detail that fits the precise and compelling way Federico expresses his passion around the philosophy of the winery. Their hospitality seemed as organic (no pun intended) and natural as their winemaking principles. After finally sitting down for dinner and learning about the wines, we became witness to Federico as not just a businessman, but also a loving husband and new father. His passion shows both in the work he does for Terre Margaritelli and relationship with his wife and chef Jennifer McIlvaine of Life Italian Style. You can sense their camaraderie and love for each other simply by the way they interact and laugh together. It may sound a bit romantic, but they made us feel like part of their family during our dinner sharing wine, great food, laughter, warmth and stories. This hospitality, good food and wine created a very memorable experience for fellow bloggers and myself. 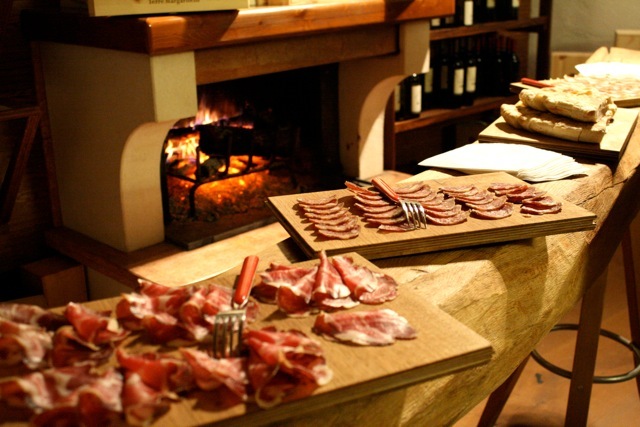 Something I hope many other travelers, both wine and food lovers, can have the opportunity to experience. … For more on Terre Margaritelli Winery, the specific wines we drank, and the recipe for Jennifer’s delicious gnocci please stay tuned to my blog, Vindulge, in the weeks to come. I am going to attempt to make Jennifer’s gnocci for my own family upon my return home next weekend. Let’s see if I pass the test!